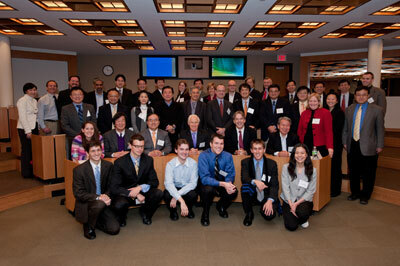 The Five-University Research Collaboration on East Asia Security Cooperation supports a sustained discussion concerning East Asian security cooperation and regional governance among scholars and students from Princeton and its institutional partners, the University of Tokyo, Peking University, Korea University, and the National University of Singapore. This research collaboration is a centerpiece of the Center for International Security Studies and is the first U.S.-East Asian inter-university research network of its kind. Professors John Ikenberry and Aaron Friedberg lead this initiative at Princeton. As East Asia is undergoing extraordinary change with the rise of China, the normalization of Japan and the ongoing nuclear crisis on the Korean peninsula, this network brings scholars together to study and debate the evolving constraints and opportunities for new forms of regional governance. The Five-University Collaboration is organized around an annual research workshop hosted on a rotating basis by Princeton and its institutional partners, along with graduate student visits and teleconferencing exchanges. In addition, working groups have been formed to explore specific facets of security and institutional cooperation as well as political questions about the character of regional boundaries, cultural identities and Asian versus Western styles of governance. The first annual workshop of the five-year partnership was hosted by Princeton University in 2009 and was supported by the Global Collaborative Research Fund of Princeton University's Council for International Teaching and Research and the Center for International Security Studies. In subsequent years from 2010-2013, each of the other partners hosted workshops at their own universities focusing on issues related to East Asian security and regional governance. A graduate student session added in 2011 offered the opportunity for PhD students from each university to present their work and has become a regular component of the workshops. In 2014, each University made the commitment to continue the 5 University partnership and research collaboration and the first workshop in the new 5 year cycle was held at Princeton University in 2014. Subsequent meetings have been held on a yearly basis at Peking University, the University of Tokyo, and Korea University. The tenth meeting of the partnership will be held in December 2018 at the National University of Singapore.